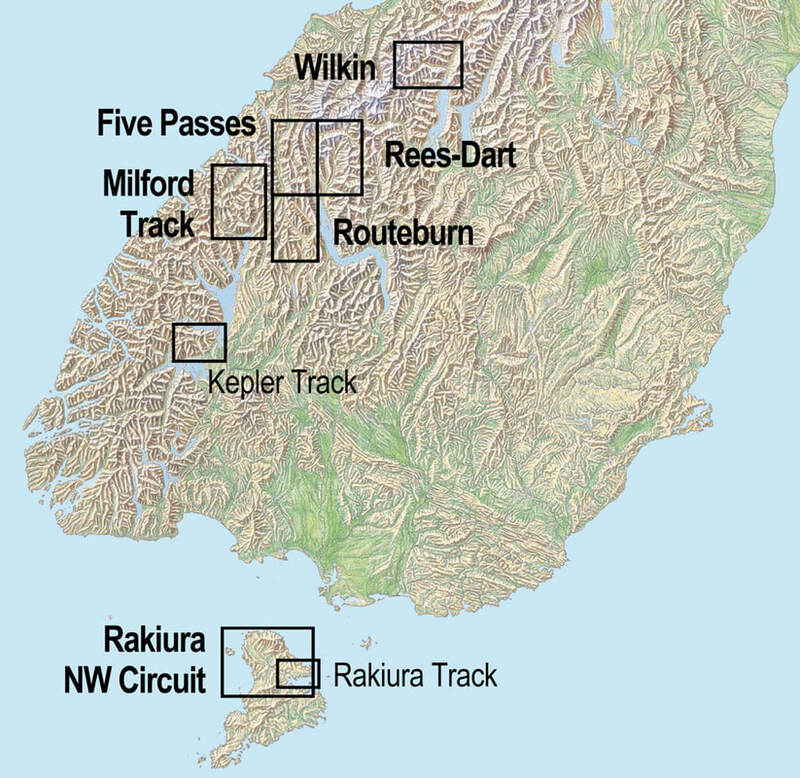 This remote area provides wilderness experiences in a dramatic landscape along the boundary between Fiordland and Mount Aspiring National Parks. The map portrays the full length of the most popular route on a fully-detailed topographic background, which does justice to the environment. The few road access points are shown. The combination of contours and relief shading gives a realistic landform. Note: The Dart track between Bedford Stream and Sandy Bluff has been washed away and is being reformed further from the river. Large format 600x840mm. (A1) Folded to 120x210mm.